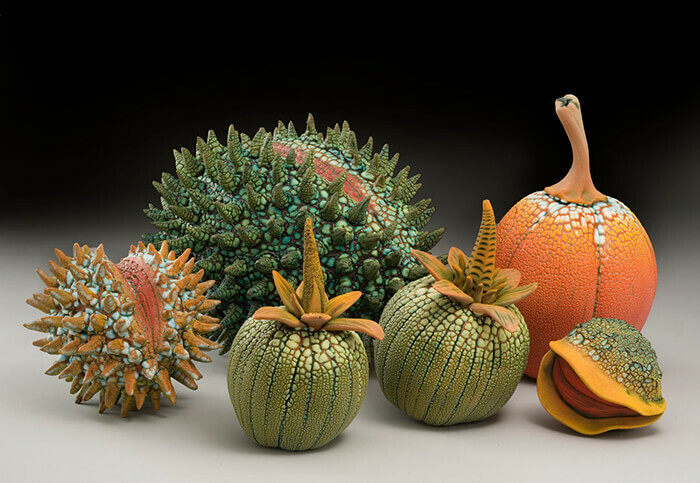 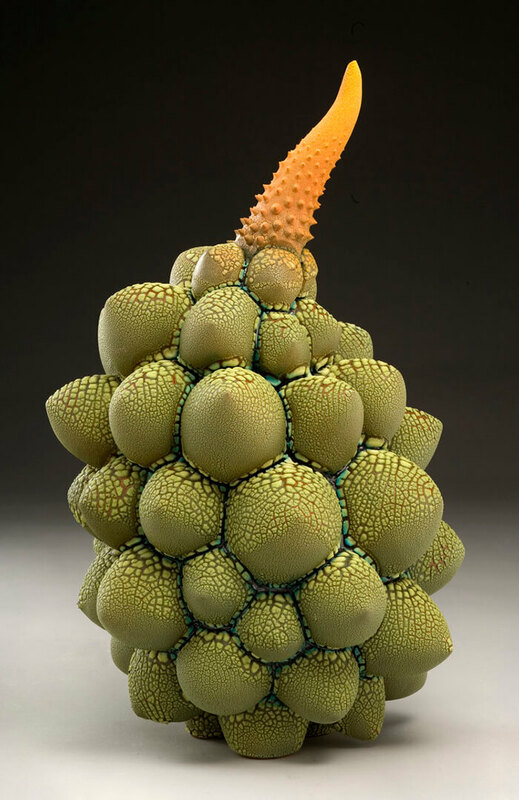 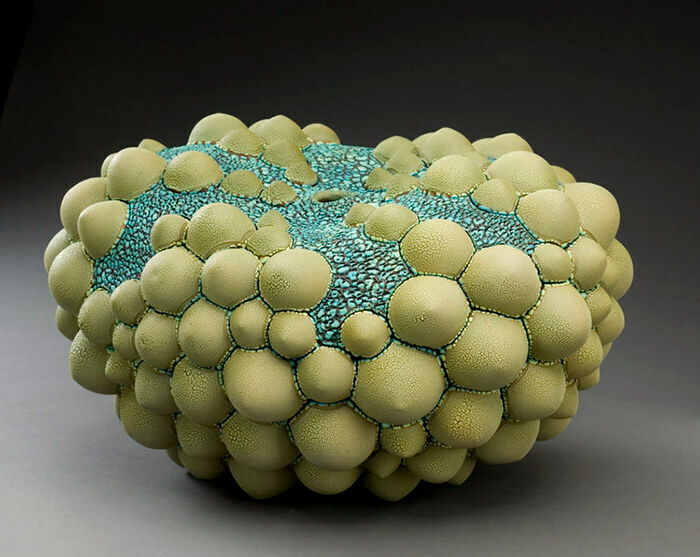 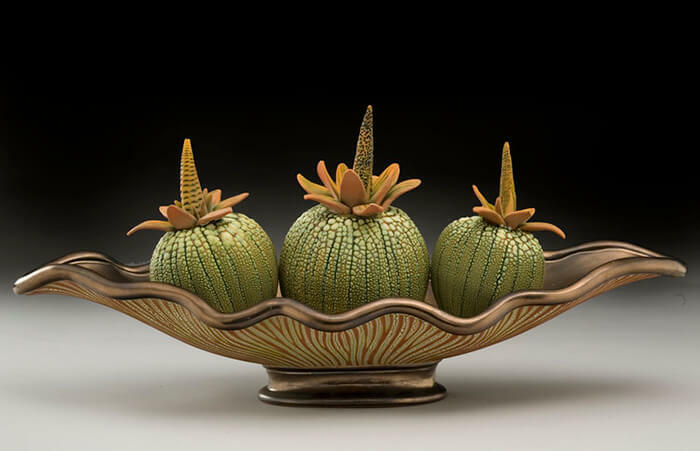 Although some tropical fruits do look a bit weird but we definitely don’t want them look like the creations of Florida-based Ceramicist William Kidd. 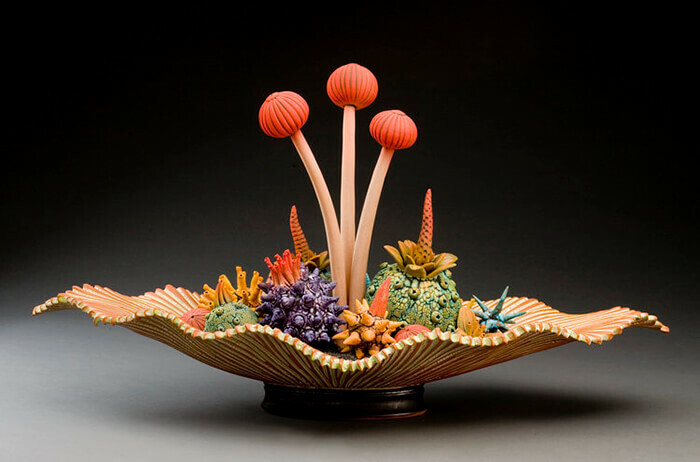 Using a combination of wheel throwing and hand building, Kidd made his imaginative organic specimens out clay. 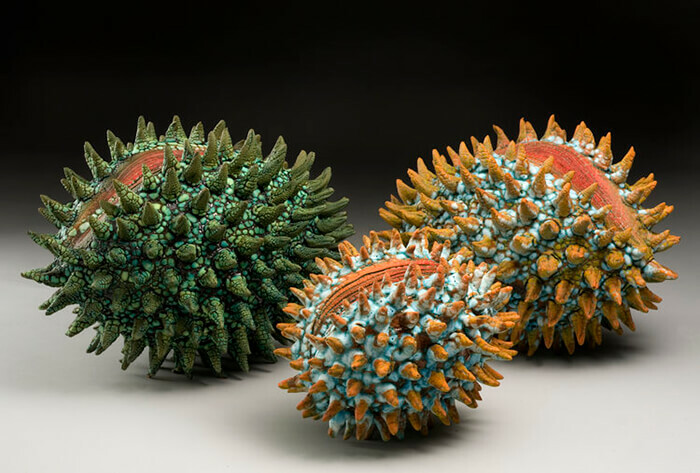 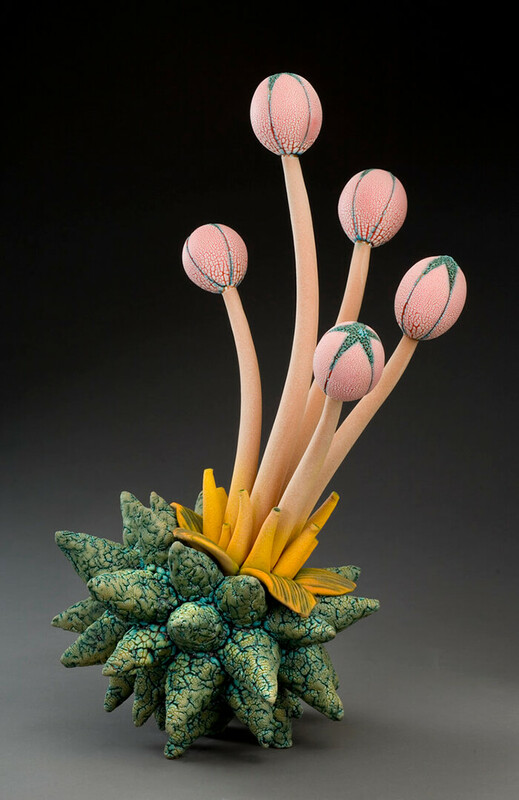 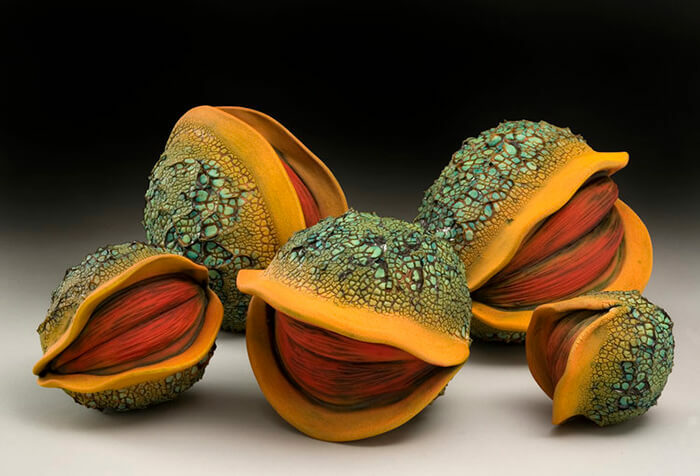 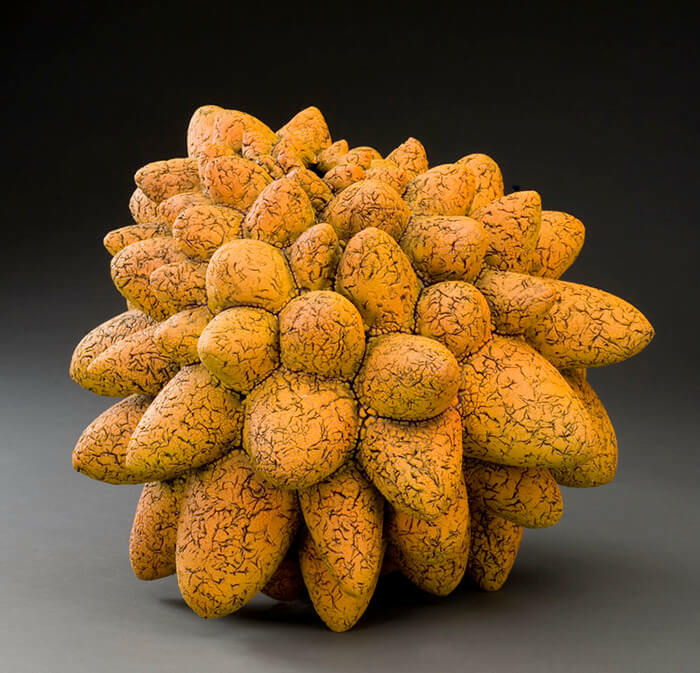 Spikes and bulges protruding from beneath the surfaces of the brightly colored and richly textured pieces, with stalks and flowers bursting through, these sculptural seeds, fruits, and flowers just look like not belong to earth. 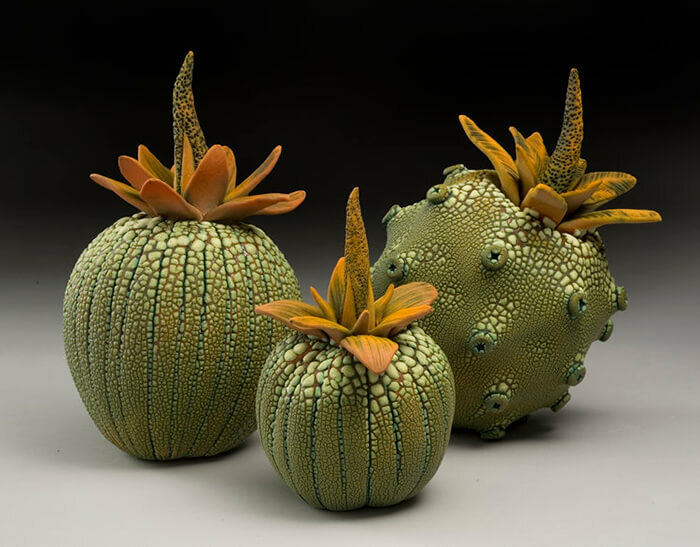 According to the statement on Kidd’s website “my work is not an imitation of any real living thing, but rather life forms that might exist in some other worldly place.” Kidd frequently shows his work at art festivals and fairs, especially in Florida. 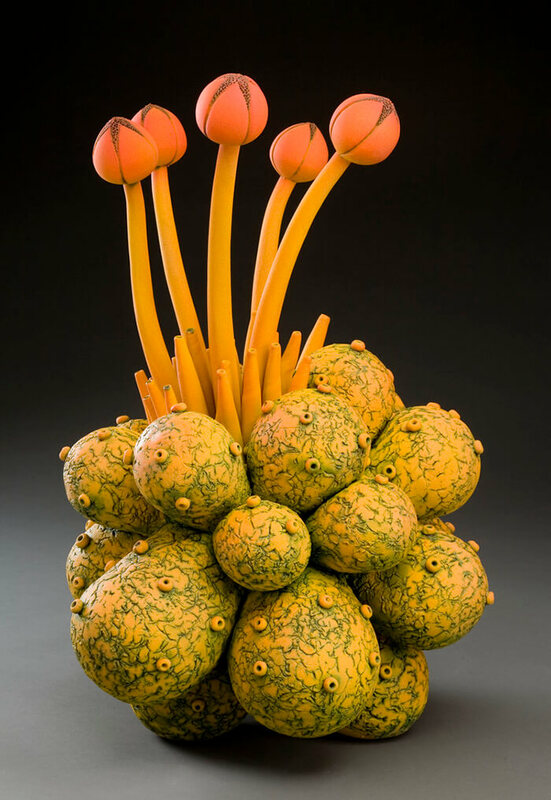 You can keep up with his show itinerary on his Instagram page.